When people ask me for recommendations about what to do or see in Washington DC, I cannot recommend Union Market enough. This foodie wonderland is a feast for the senses, with cuisines from around the world represented by the many micro-eateries and there are always pop up shops and art that make each visit memorable. 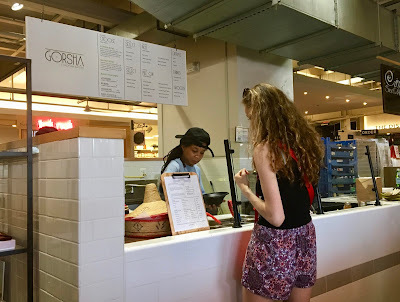 On a recent visit, I decided to stop by Gorsha, an Ethiopian eatery that I have walked by, but not stopped to see if they had gluten-free options. 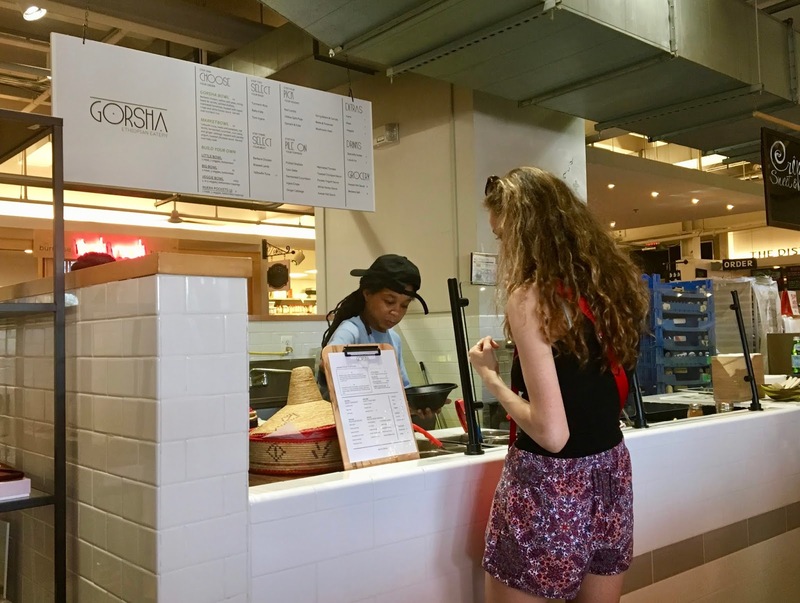 As I soon discovered, this was a serious error on my part, as Gorsha has a lot to offer for gluten and dairy-free foodies. As my first foray into Ethiopian cuisine, I was excited that this would be a new- and safe- experience. While I started this blog as a quest to find and report the best gluten-free eats wherever I live or travel, it's really a documentation of my endless love affair with tacos. It's hard for me to ever turn a taco down, and I love that they are naturally gluten-free. Over the years I have found some pretty showstopping tacos, but that never deters me from the quest to keep seeking out new (and new-to-me) options near and far. 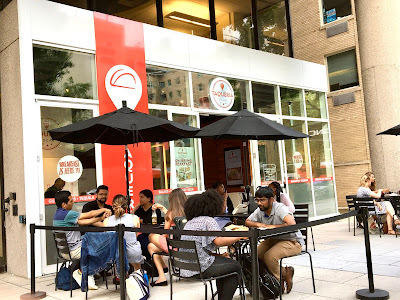 While walking through DC's Farragut Square recently, the bright facade of Taqueria Local caught my eye, and after some quick research, I decided to give them a try. A relative newcomer to the neighborhood, Taqueria Local promises to deliver authentic and fun tacos in a casual setting that promotes food and the community. That promise is more than just words too: by sourcing local food, paying the staff above minimum wage, and giving back through donations of food and a portion of their profit, they are the real deal- which definitely impressed me long before I had a bite of food. Summer is in full swing here in DC, and I am more than ready to trade in heavy coats and hot tea for sunglasses and dairy-free ice "cream" since winter weather lingered longer than usual this year. With the changing of the seasons, it's always exciting to see new arrivals in the freezer aisle of my favorite stores. 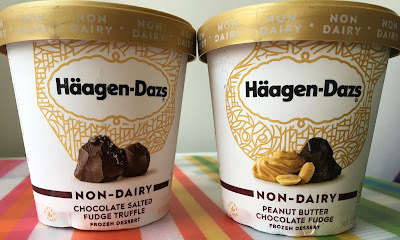 When buying dairy-free ice "cream," I tend to stick to companies who cater exclusively to dairy-free consumers, but recently, I've notice more and more "mainstream" companies are venturing into the vegan and non-dairy game. One such company is Häagen-Dazs, an iconic ice cream maker who has introduced a new line of dairy-free delights. Of course I couldn't pass up an opportunity to try them when I spotted them stocked at my local Giant, and was excited to see how they measure up against an increasingly competitive field of gluten-free and dairy-free options.